Create a beautiful peaceful fine art photography optical illusion to your decor of a colorful Rocky Mountain view through an old distressed rustic window . Your very own private fantasy window view. Free shipping. 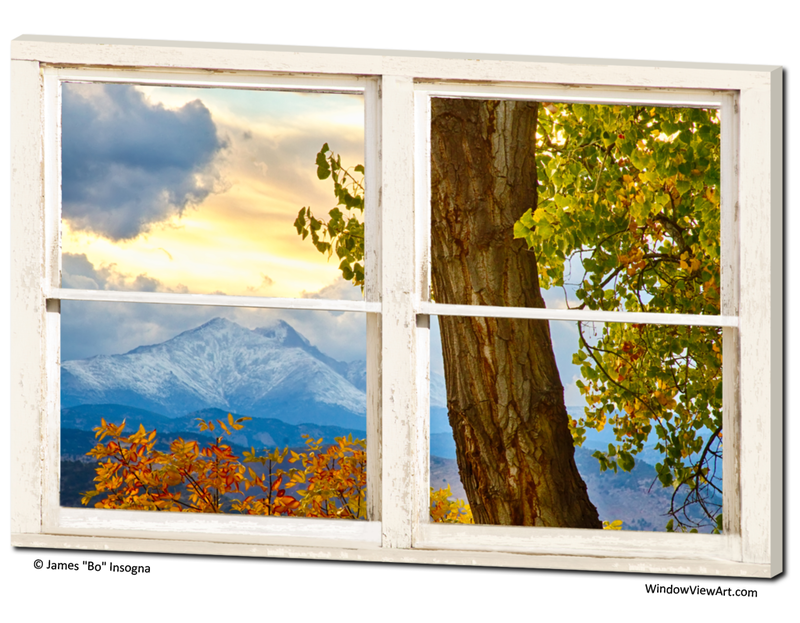 A scenic autumn season Colorado Rocky Mountain Longs Peak 14,256 ft view through a classic white distressed rustic picture window. Your very own private window view into the Colorado Rocky Mountains front range and Twin Peaks. A nature fantasy window. Create a fine art photography optical illusion to your decor of a colorful Rocky Mountain view through an old distressed rustic window .